Cambridge is renowned for the excellence of its Mathematics course. Equally challenging and rewarding, it offers the opportunity to study a wide range of subjects: everything from abstract logic to black holes. Two aspects of the course that our students greatly appreciate are its flexibility and the breadth of subjects offered. The amount of choice increases each year and after Year 1 you can choose the number of options you study. Some students take as many options as they can; others take fewer and study them very thoroughly. This structure allows you to keep your options open, giving you the opportunity to discover your strengths, extend your knowledge and develop your interests before specialising. Since Sir Isaac Newton was Lucasian Professor (1669-96), mathematics teaching and research here have been enhanced by a string of brilliant mathematicians, including six Fields Medallists and even Nobel Prize winners. Most current Faculty members are leading international authorities on their subject. 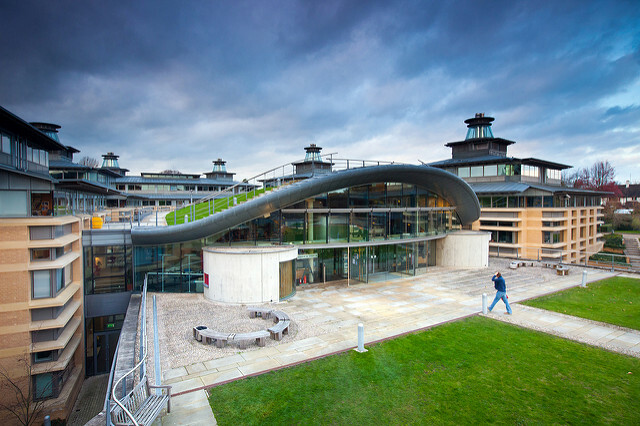 Our Faculty is also closely linked with the Isaac Newton Institute, which attracts specialists from all over the world to tackle outstanding problems in the mathematical sciences. There are no compulsory additional course costs for Mathematics. Some students choose to purchase their own copy of certain texts but this is optional, as is the purchase of a computer. Full course details are available on the Faculty of Mathematics website and if you have any queries about resources/materials, please contact the Faculty (see fact file, right). About 5-10 per cent of students change from Mathematics each year. Many of these have taken the Mathematics with Physics option in their first year, with the intention of changing to Physics (Natural Sciences). Over the years, mathematicians have changed successfully to many other subject taught at Cambridge. However, it's not advisable to apply for Mathematics intending to transfer to a subject other than Physics. A Cambridge Mathematics degree is versatile and very marketable. The demand for our mathematicians is high in business, commerce and industry, as well as the academic world. Around 45% of our students go on to further study, while others follow a wide variety of careers. Recent graduates include a metrologist, sports statistician, journalist, and an avionics, radar and communications engineer, as well as teachers, actuaries, accountants, IT specialists, financiers and consultants. In Year 1, you typically have 12 lectures and two supervisions each week. In the following years, the greater choice and flexibility means that the pattern of lectures and supervisions is more irregular, but the average load is roughly the same. You sit four written examination papers each year in the first three years. In addition, there are optional computer projects in Years 2 and 3. In the fourth year, each course is examined individually, and you have the option of submitting an essay on a current research topic. You should state in your Supplementary Application Questionnaire (SAQ) which option you wish to take, though it’s possible to change when you start the course. You can still continue with Mathematics in the second year if you take Mathematics with Physics. There are also optional computational projects (assessed by means of reports and programs submitted before the summer examinations), using numerical or algebraic techniques to investigate mathematical problems. There are also optional computational projects. Part III has a world-wide reputation for training the very best research mathematicians. Progression to Part III, in which more than 80 options are offered, normally requires a first in Part II or a very good performance in Parts IB and II, and successful completion leads to a BA with MMath. See the Faculty website for more details. For further information about studying Mathematics at the University of Cambridge see the Faculty of Mathematics website. The STEP grades required as part of an offer vary by College – see individual College websites for details – but are usually at least grade 1 in two STEP papers. Students applying to study Mathematics with Physics must have taken A Level Further Mathematics (including the section on Mechanics) or have taken A Level Physics in addition to Mathematics and Further Mathematics. See Mathematics: Subject Requirements and Typical Offer by College and Mathematics with Physics: Subject Requirements and Typical Offer by College for College-specific requirements/preferences. All undergraduate admissions decisions are the responsibility of the Cambridge Colleges, so please check College websites for further details. * IB applicants are expected to take IB Higher Level 'Analysis and Approaches' for any course where Mathematics is a requirement. If this option is not available at your school, please contact the College that you wish to apply to directly for further advice and guidance. Depending on individual circumstances, some Colleges1 may make an A Level applicant an offer which will be met if they achieve either A*A*A with at least grade 1 in two STEP papers or A*A*A* with at least grade 1 in one of the two STEP papers taken. Applicants to the Mathematics course who take A Level Mathematics in Year 12, and A Level Further Mathematics and one other A Level subject in Year 13 won't usually need to take another A Level in Year 13.2 Such students may be required to achieve A* in the two subjects taken in Year 13 (even if they achieve A* in Mathematics), and should be enhancing their subject knowledge through wider engagement beyond their A Levels. Contact a College admissions office for further advice. 1 Downing, Emmanuel, Fitzwilliam, Jesus, King’s, Lucy Cavendish, Newnham, St Catharine’s, Sidney Sussex, Trinity Hall. 2 However, students should consider potential implication this may have for their other university options. Some Colleges require applicants for Mathematics to take a written assessment at interview, if interviewed. See individual College websites for details. There is no common format written assessment for Mathematics (applicants will continue to sit STEP alongside A Levels) – Colleges will assess aptitude, knowledge base and potential through short tasks at the time of interview. For Mathematics candidates interviewed overseas, a written Maths assessment will be administered by the overseas interviewing team which will then be made available to the Cambridge College along with the overseas interview report. Faculty of Mathematics - Explore Mathematics in more detail on the faculty website. Course Information - A detailed guide to the Mathematics degree. Maths study skills - A guide to the study skills that will help you study Mathematics at Cambridge, and also give you a flavour of the teaching styles here. Isaac Newton Institute - Isaac Newton Institute for Mathematical Sciences. Plus Magazine - An online magazine opening a door to the world of maths. Millennium Mathematics Project - Maths education and outreach initiative. STEP Guidance - Information about the STEP examination which applicants to study Maths at Cambridge are required to take. STEP Support Programme - A free series of online modules designed to help potential university applicants develop their advanced problem-solving skills and prepare for the STEP exams. Application Information - A detailed guide to applying to study Mathematics at Cambridge. Underground Mathematics - Online mathematics resources for A Level students and teachers. Available at all Colleges except Wolfson. Most Colleges don't encourage deferred entry.